Need Answers? Just Ask Children's! Parenting questions? We’ve got answers. 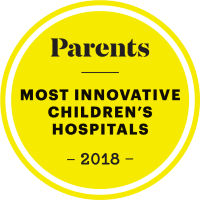 Get tips and advice on hundreds of parenting topics from the kid experts at Children’s Hospital Colorado. You can have them delivered right to your inbox and your door. Please include your complete mailing address if you would like the newsletter sent to your home.